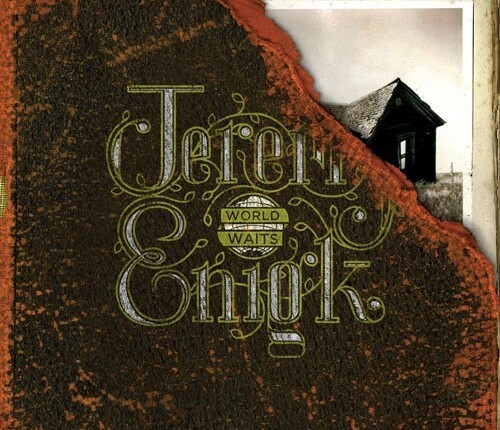 LOS ANGELES, CA – (June 28, 2006) — JEREMY ENIGK, the enigmatic singer and songwriter for emo-core pioneers Sunny Day Real Estate and The Fire Theft, has completed “World Waits,” his eagerly-awaited second solo album. Enigk, whose solo debut, “Return of the Frog Queen” was released in 1996, will issue “World Waits” October 17 on his own label, Lewis Hollow Records, which will be distributed by Reincarnate Records through SONY BMG. In support of “World Waits,” Enigk will launch a North American concert tour on July 31 in Denver, CO. The 18-date club tour will also include a special appearance at Lollapalooza’s Jack Stage on August 4, and Seattle’s Bumbershoot Festival on September 3. Enigk will also play several dates – including Belgium’s Pukkepop Festival – in Europe this summer. Opening for many of Enigk’s U.S. Tour dates will be the much buzzed-about Brit, Jim Noir. The confirmed itinerary is below. In 1996, Enigk earned wide praise for the pop orchestration of “Return of the Frog Queen.” While “World Waits” doesn’t mimic its predecessor’s lush feel, the new album nonetheless trades in grand musical and lyrical themes. Enigk expertly gives voice to songs that tackle spirituality and the human condition with vocals that can sound as big as the sky or as small as a whisper. Enigk assembled the songs on “World Waits” over the course of the past decade. Among the ten cuts are two that were slated for a follow up to “ROTFQ” that was interrupted by Sunny Day Real Estate activity, others that Enigk originally intended for The Fire Theft, and still others written as recently as six months ago. Enigk co-produced “World Waits” with Josh Myers, who has arranged strings for artists ranging from indie songwriter Rosie Thomas to pop singer Mandy Moore. While Enigk primarily handled guitar and vocals on the album, he also contributed bass, drums and keyboards to various songs. Drummer Kaanan Tupper, bassist Nick Macri and guitarist Greg Saran round out the album’s primary players. In the mid-1990’s, Seattle-based Sunny Day Real Estate garnered critical praise and an avid following as one of the founding bands of emo-core. While signed to Sub Pop Records, they released four albums in five years; their final disc, “The Rising Tide,” was issued by the Time Bomb label in 2000. Shortly into their career, SDRE’s rhythm section of William Goldsmith and Nate Mendel also signed on to play with Dave Grohl in Foo Fighters. In 2003, Enigk re-teamed with Goldsmith and Mendel to form The Fire Theft and recorded a self-titled album. While The Fire Theft project is currently on hold, the trio still considers themselves a band. Throughout the twists and turns of break-ups, reunions and new bands, Enigk has maintained a devoted fan base that blossomed in the early days of the Internet and has only grown since. “They’re the whole reason why I continue to do it and want to release records,” he said.